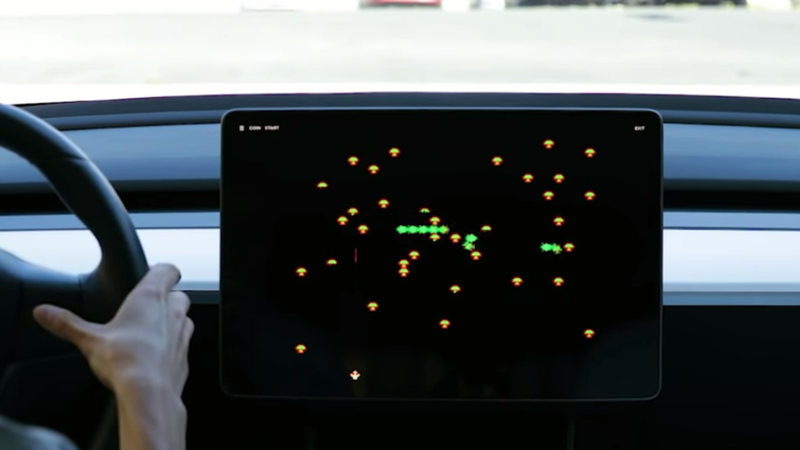 Tesla’s not-so-secret stash of video games hidden inside its car’s infotainment system received two new games on Thursday — but the timing of the software update was really strange for anyone closely following the company. Starting today, Model X, S, and 3 owners can update their car software to include the games 2048 and Super Breakout in the TeslAtari game console. While the games look fun and all, it’s a clear distraction from some less amusing Tesla news coming later this afternoon. Elon Musk’s oral argument with the U.S. Securities and Exchange Commission in a Manhattan federal courthouse will be held Thursday at 2 p.m. ET. The SEC is seeking to hold Musk in contempt of court for violating a settlement agreementwhen he tweeted about projected Tesla car sales back in February. The settlement comes from last year after he tweeted about taking Tesla private. Tesla is a publicly traded company and its CEO’s tweets can affect markets. Musk was supposed to cool it with the potentially influential tweeting and have his online comments pre-approved. Now it’s all coming to a court hearing to see if Musk will be fined or worse: removed as CEO of his electric car company.